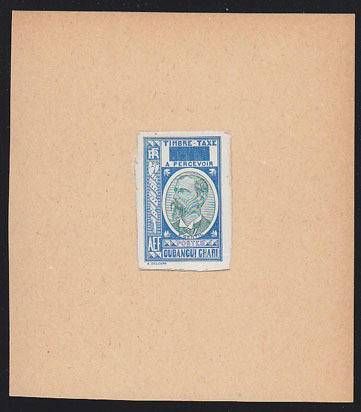 19141 EP UBANGI-CHARI (1930) Emile Gentil*. Imperforate proof in blue windowed on car stock. Scott type D4.